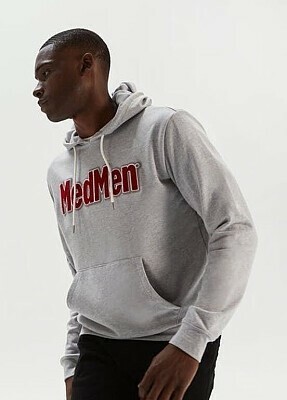 Grey MedMen Hoodie Accessories, Order Weed Online From SugarLeaf Trading Co.
"MedMen" stitching in the front. White strings on the hoodie. Popular Products from SugarLeaf Trading Co.